Oh My Aches and Pains! : Rain, Rain Go Away ... From My CPAP Hose! There are estimates floating around the Internet that up to 80% of people diagnosed with fibromyalgia have sleep apnea. About a year and a half into my workup and treatment for fibromyalgia, I was sent for a sleep study. I actually had to spend two nights in the sleep lab, on two separate occasions, because I only slept two hours the first night, which was not long enough to complete the split night protocol of sleep without, then with, a CPAP machine and mask. I've talked before about living with sleep apnea in my posts The Elephant in My Bedroom and My Routine: Trying to Get a Good Night's Sleep. Needless to say, it takes a great deal of effort on my part to make sleep apnea therapy using a CPAP machine and mask comfortable and manageable. As I mentioned before, I use a whole host of tricks and tips to increase my compliance with nightly therapy. Today I want to talk about rainout, a complication of using a CPAP machine, especially in colder weather. 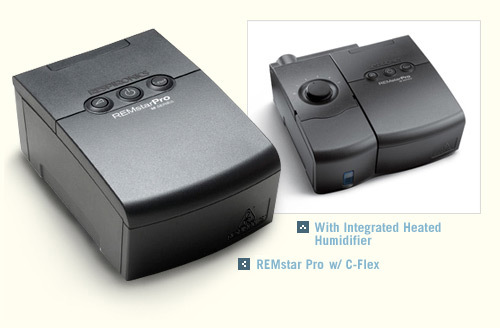 I have a CPAP machine with a heated humidifier. The heated humidifier increases the humidity of the air being sucked into the machine and delivered to my nose via a 6 foot tube and a mask. Without the humidifier, my nose gets really dry, irritated, stuffy and swollen on the inside. Contrary to the name, a heated humidifier doesn't make the air coming through the machine any warmer; the humidifier chamber heats distilled water inside it to release water molecules into the air. When the air in the bedroom gets colder, like in the winter, the cold room air cause the water vapor in the air leaving the machine to condense along the tubing and mask. The result: I wake up several times a night with a puddle in my mask and water droplets up my nose. Nothing is quite as shocking and disruptive to my sleep as breathing in water! So when a cold snap hit Southern California a few weeks ago, I had no choice but to turn my heated humidifier off. That resulted in no rainout, but lots of nasal discomfort. Unhappy with this fix, I started with an Internet search for a solution that could help with rainout. So it turns out that CPAP technology is evolving and now there is a machine with an integrated heated hose that virtually eliminates this problem. The bad news for me is that my health insurance won't pay for a new and improved CPAP machine until May 2013 (that is every five years.) You see, health insurance won't pay for CPAP machine rentals. Once they pay out the equivalent of the purchase price, I own the machine. I guess it saves them money on their end, but it really doesn't help me take advantage of technology advances and machines with better compliance features. I could buy it from SleepZone in Australia, but would need to save up about $140 to do so. And since hoses don't last forever, I would need to find $280 a year in our budget to pay for this hose solution. Next I called my CPAP supply company and told them about my problem. They offered to sell me a CPAP hose cover, which I already have. Then they suggested I place an old fashioned hot water bottle, filled with hot water, in front of the CPAP air intake opening to try and heat up the incoming air. They also suggested I take my hose off the hose caddy and place as much of it as I could under the bed covers with me to keep it warm. I tried their suggestions and they seem to work, but it's not a perfect solution. It appears I've gotten rid of rainout in colder weather, but replaced it with anxiety about rolling over onto my hose in bed, damaging it or cutting off my air supply and suffocating myself, then either waking up gasping for air or pulling my mask off in my sleep. I know that a lot of people have problems getting used to CPAP therapy. I have heard stories of people giving up when faced with how uncomfortable it can be. I make a huge effort to try and stick with it and I am proud to say that I am about 99% compliant. In the meantime, I'm really going to try and save up the money to purchase the SleepZone universal heated hose. After all, this solution is cheaper than buying a new machine out-of-pocket. Looks like we use the same model of CPAP machine! I can empathize with the rainout problem -- it was solved for me when I switched to a full-face mask and got rid of the heated humidifier. But I just wanted to say, if you keep the hose under the covers with you, don't be afraid of rolling over on it and crushing it -- you won't. Don't take my word for it, try lying on top of the hose while you are awake -- you'll see you can breathe just fine. And if somehow you did manage to cut off your air supply (say the power went out) you would wake up. Good luck!